The specialty chemicals consist of a high added value that can be supplemented to some products (such as plastics, coatings, adhesives and inks, cosmetics and cleaning products) in relatively small amounts to enhance the activity or presentation of these products. The specialty chemicals market in Europe is progressing at a pace of 4.83% CAGR during the forecasting years of 2019-2027. Europe Specialty Chemicals Market by Applications (Advanced Ceramic Materials, Construction Chemicals, Cosmetic Chemicals, Electronic Chemicals, Food Additives, Imaging Chemicals and Materials, Industrial and Institutional, Mining Chemicals , Nutraceutical Ingredients, Pesticides, Specialty Paper Chemicals, Synthetic Lubricants and Lubricating Oil Additives, Textile Chemicals, Water Management Chemicals) by Geography. The specialty chemicals provide high added value that can be supplemented to products such as plastics, coatings, adhesives and inks, cosmetics and cleaning products in relatively small amounts to enhance the activity or presentation of these products. Specialty chemicals find themselves with numerous applications in the construction industry to impart additional protection in buildings from environmental hazards, reduce water content and cement quantities utilized during construction to enhance the lifetime of the construction chemicals. 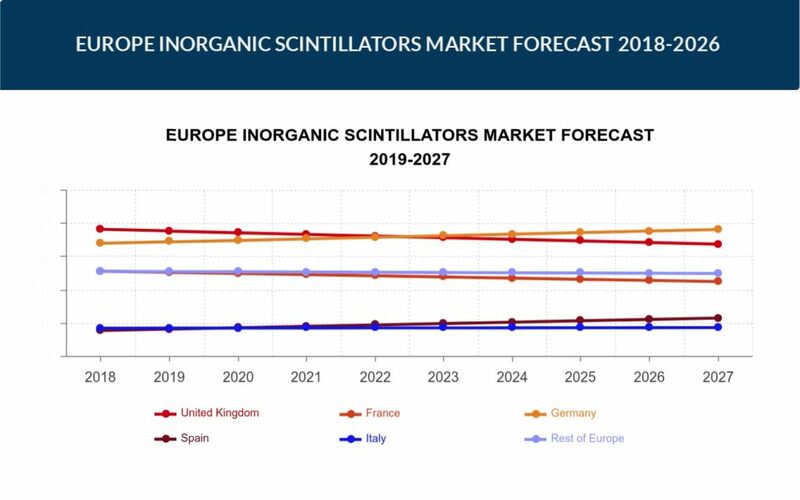 The specialty chemicals market in Europe is progressing at a pace of 4.83% CAGR during the forecasting years of 2019-2027. The extraction of aggregates and crude oil has increased phenomenally in Europe. The United Kingdom, Germany, France, Italy, Russia, Spain and the remaining countries forming the Rest of Europe are the contributing economies stimulating the market growth in Europe. Interestingly, the growth of the polymer market in the UK can be attributed to the developing electronics and medical industry and the growing number of applications in the field of specialty chemicals. The manufacturing of chemicals in Europe is tightly regulated mainly because of the environmental concern. REACH (Registration, Evaluation, Authorization and Restriction of Chemicals) is a European Community Regulation which normalizes the chemicals and their safe usage. Germany was the largest chemicals producer in Europe in 2018. The region has faced various challenges, such as access to energy and raw materials and regulatory policies, but has coped up with the help of various implementations of rules and regulations by the European Commission. The eminent market players in Europe for specialty chemicals are DowDuPont, Ashland Inc., AkzoNobel N.V., Huntsman Corporation, PPG Industries Inc., Solvay S.A., Koninklijke DSM N.V., Clariant SE, BASF SE, Bayer AG, Sasol Limited and Merck & Co., Inc.